Colored lettering buckle 2110B from Montana Silversmiths. 3¾" x 5". Choose from background colors in Midnight Black, Leather Brown, Montana Blue, 4-H Green or Powder Pink. 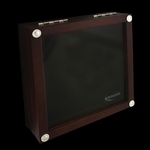 Displays bold lettering, date trim, the figure of your choice (or your brand or logo) and two stones. The gold ribbon can be personalized or left blank. Shown here with Reining Horse figure 100, Midnight Black background color and Cubic Zirconia stones. This colored lettering belt buckle is also available in solid sterling silver (usually price x 3); contact us for a quote. "Montana Silver," as it was known in the early years, is protected by Montana Armor®, a Montana Silversmiths technological breakthrough in 1988. 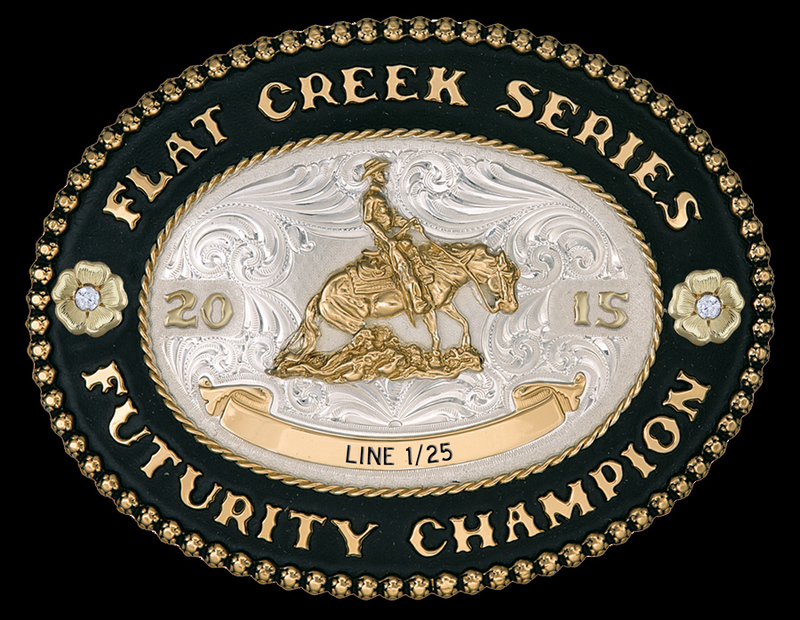 This durable finish gives all Montana Silversmiths trophy award buckles superior protection. 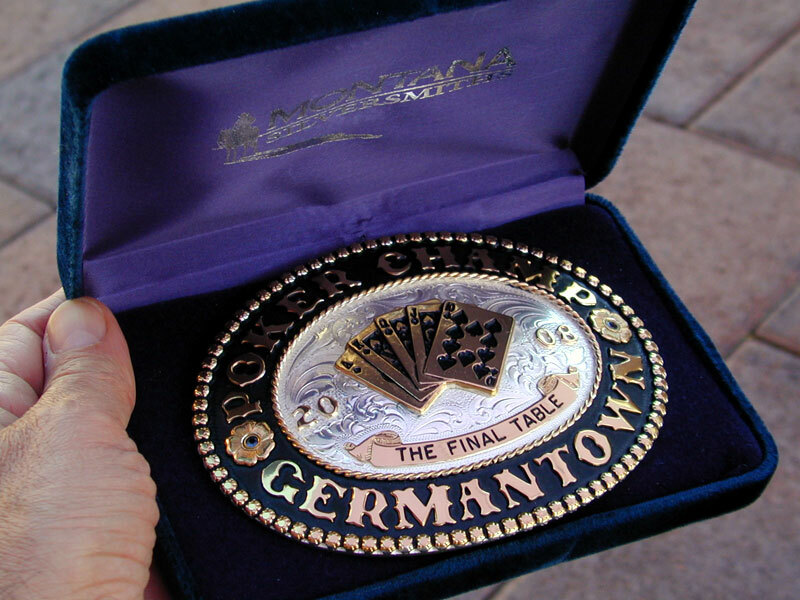 Montana Armor® trophy award buckles will not tarnish and the silver's brilliance can be maintained with an occasional wipe with a damp cloth. It's kind of like saying "If you buy our car, you never have to wash or wax it!" You will not find this valuable quality anywhere else.